Essential Energy Healing has nearly become a lost art. I am sure that in your experience you've noticed that most conventional methods of healing are focused purely on improving the physical levels of life, without recognition or understanding of the deeper underlying energies on all levels - physical, mental, emotional and spiritual which would be the holistic approach. However, with the approach of the "New World" essential Energy Healing as taught in my courses whether you're using Crystals, Angel Energy, Color or Reiki is again coming to the fore since many people are taking responsibility for their own wellbeing and demand more and more of an holistic approach to their health. People need to be "recharged" with energy as an essential part of their healing process. The fact of the matter is that essential energy healing works purely at the energetic level of your being. It therefore goes without saying that since everything is made up of patterns of energy (chi), working with it directly influences your physical, mental, emotional as well as your spiritual levels, making this the "holistic" natural approach. 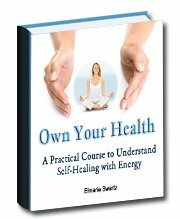 In my newly released course "Own Your Health", I have taken the approach that to use energy healing and chi you have to understand it. In this course energy healing and all it's components are explained simply and easily to ensure that you not only understand energy healing but that you can also use it with ease and so much more effectively. Energy healing work impacts primarily on two distinct energy fields within and around your physical body. Firstly surrounding your body is an energy field which some sensitive people can actually see with all its beautiful colors, this field is called your Aura. Secondly starting from your crown on the very top of your head all the way down your spine are seven evenly spaced spinning vortexes called the Chakra's. I have an absolute MUST HAVE and essential energy healing home study course on the Complete Chakra System which will give you an in depth knowledge of the importance of your Chakra System to your health and wellbeing. The important thing is... It is our objective to bring these two energy fields back into balance and harmony using the holistic approach. The inner conflict (the one part of you that wants to get well, but the other part wants to be sick or even die) can only end once the decision to get well, to do whatever it takes, has been taken. You will then have taken the first significant step forward in your healing journey and "the self" is no longer divided. It is my belief and I am sure you would agree with me that a lift in life energy is not only needed but vital to make a difference and enable you to turn the corner from a path of self-destruction to one of healing. You already know that everything is energy thus absolutely everything visible as well as "invisible" to the human eye vibrates (moves) at a very specific frequency. Now... I want you to go deep into your own mind and visualize what it would be like if you could tap into those frequencies and be able to affect most anything in your life. Anyone can do this and yes that includes you, all you have to do is learn to administer and manage these energies which you can with my Essential Energy Healing Home Study Courses. If you wish to actively participate in your own or someone else's wellbeing you can choose to use any one or more of the many different energy healing modalities available. Energy... without it... there would be nothing! 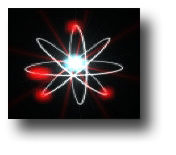 Below is a list of pages for all the Frequently Asked Questions about the different Energy Healing Modalities. Should you not find the answer you are looking for on these pages please feel free to contact me and I will get back to you as soon as possible.